I was in Kathmandu to lead a group of eleven journalists reporting on health and development when the earthquake struck. 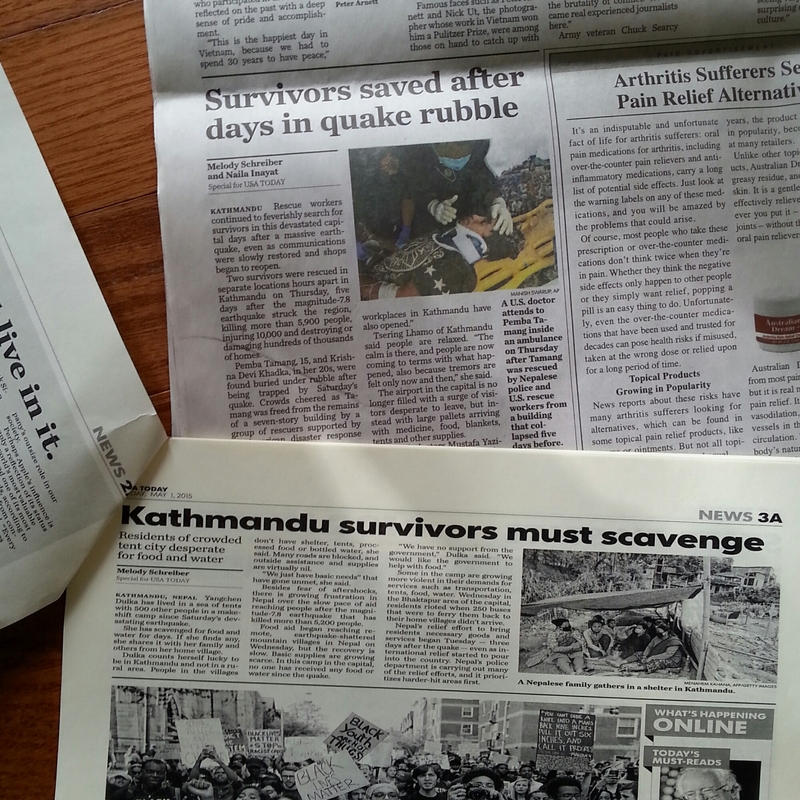 Here are the stories I filed from Nepal. Last Sunday morning, after the first night of camping outside in Kathmandu, I woke up to storm clouds overhead. The man a few feet away didn’t.